Clarins has launched the Spring 2017 Collection a couple of months ago. 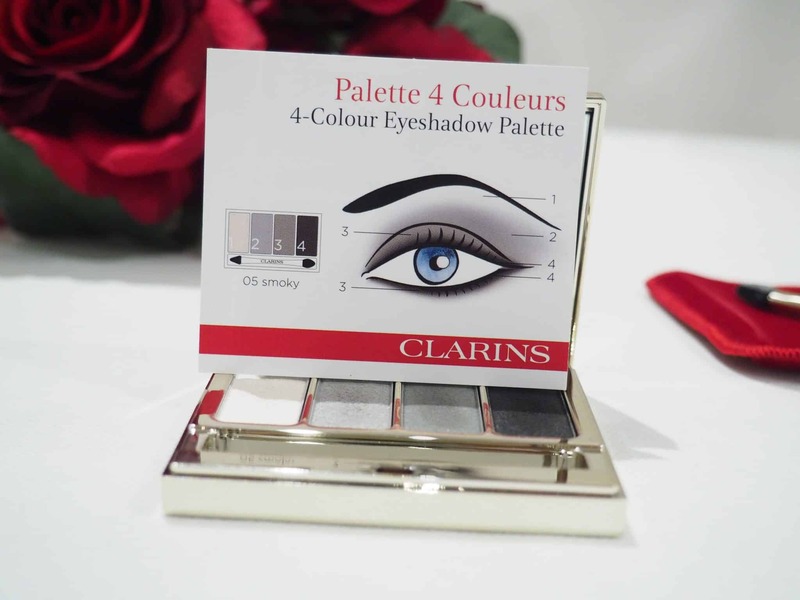 I am highlighting this gorgeous Clarins 4- Colour Smokey Eyeshadow Palette. I love the smokey intensity of these shades. 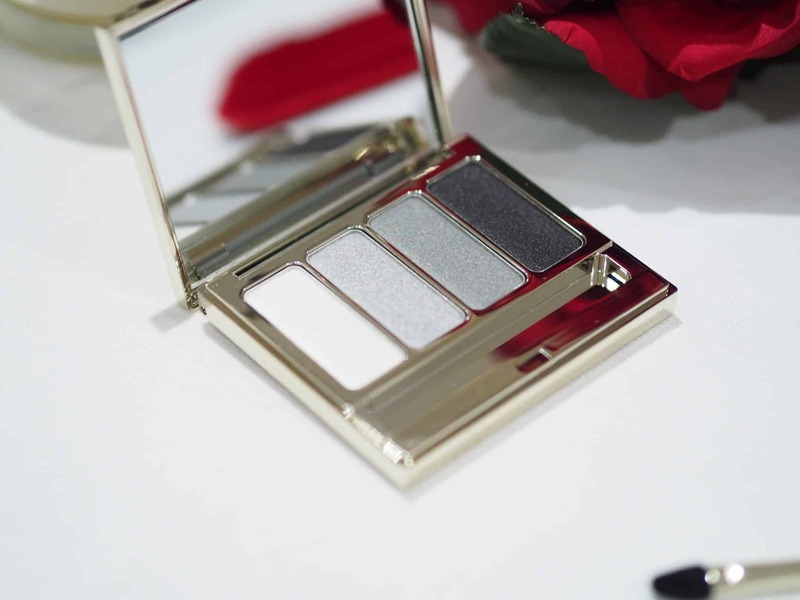 This palette features a shimmery white pearl, a satin semi-sheer silver, a satin/shimmer grey, and a dark satin black. This palette is a highly pigmented formulation that applies with ease. All the colours blend nicely together. I love the silver packaging of this compact. It has a very classy look to it. 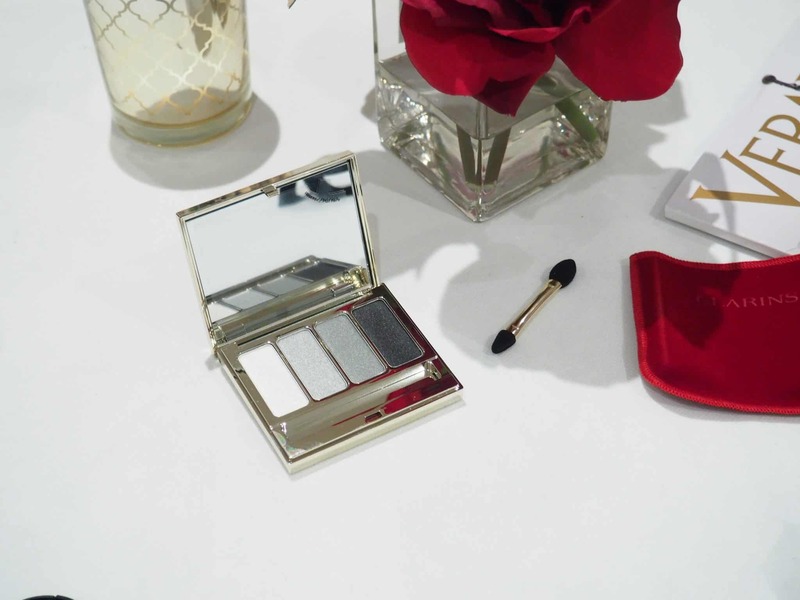 The compact comes in a red velvet sleeve with Clarins embossed on the front. I love the compact size of this palette, making it easy to carry in your purse. I love that it comes with a guide on how to use this smokey palette – this is a must for a non make-up professional like me, I need all the help I can get. Do you know how to apply a nice smokey eye? These eyeshadows can be used wet for a more intense make-up look or dry for a natural make-up look. I don’t think that these eyeshadows need to be used wet as the pigment is pretty intense. I love Clarins, I am never disappointed with their products. I don’t usually wear a smokey eye, not because I don’t like it but more because I am not experienced with this look without looking like I gave myself two black eyes. (lol). I wish all eyeshadow palettes would provide a suggested guide on how to best combine the colours, for non-professionals like me. Have you tried any Clarins products? Have you mastered the smokey eye look? Clarins is sooo good! I love that they even give you that card to tell you where to put what. 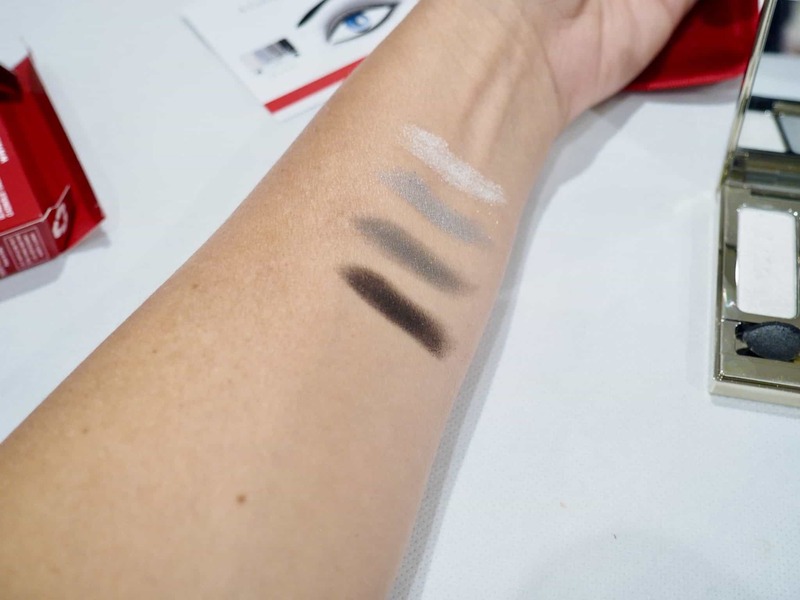 So handy, esp for someone like me who doesn’t know the first thing about doing a smokey eye! The quality of the color tones are great too, very vivid and bold! 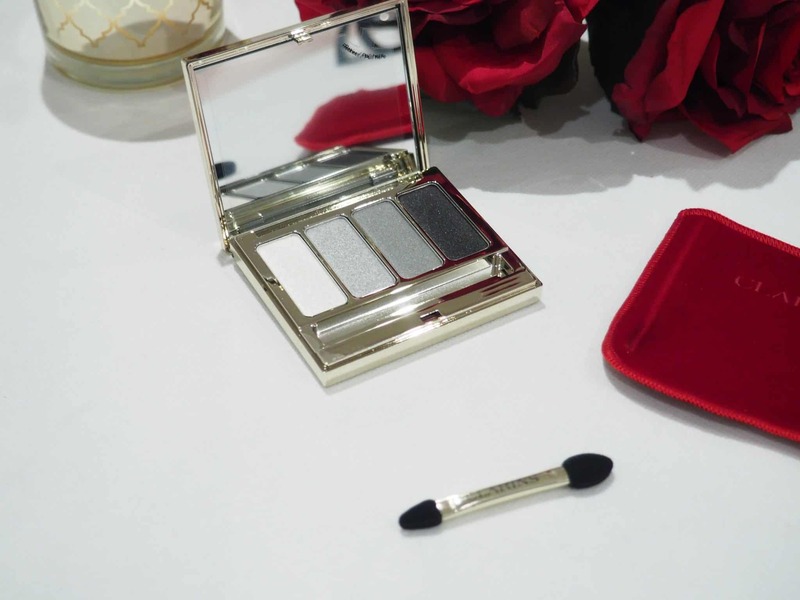 I’ve only tried a couple of Clarins’ single eye shadows, they’re lovely. As for mastering a smokey eye… hrm kind of. I don’t like anything TOO heavy looking. 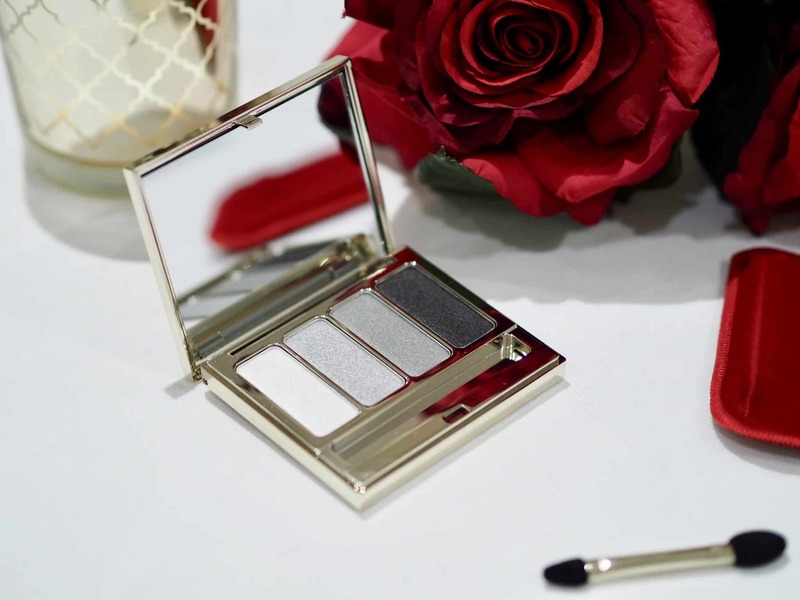 My go to palette for a smokey look is Guerlain Les Fumés – it’s a no-brainer.